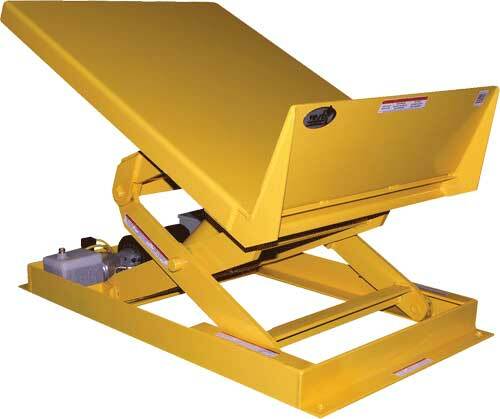 CLTLT Series Hydraulic SpaceSaver Lift and Tilt Tables are heavy-duty electrohydraulictables with capacities of 2,000 to 6,000 lbs., angle of tilt to 45° with platform sizes of 24" x 48" to 48" x 60". 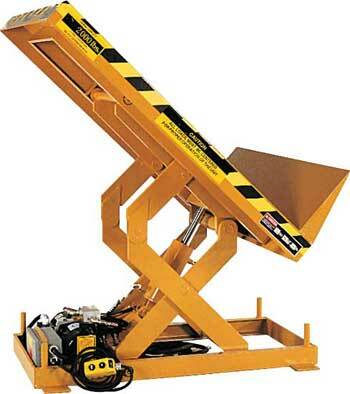 Designed to position containers within reach of assembly line workers & machine operators. 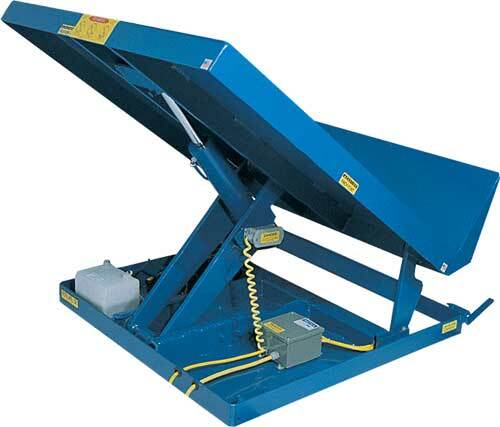 This unique design reduces fatigue by minimizing repetitive bending and stretching required to obtain components from containers. 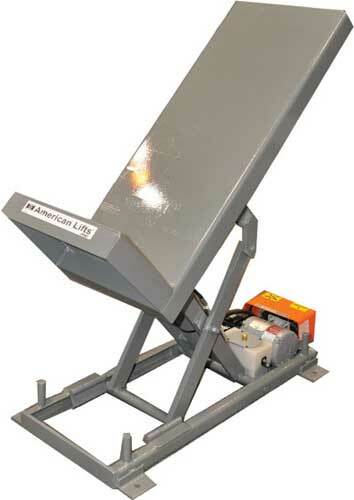 Design of unit allows platform to lift & tilt at the same time for easy operation. Maximum tilt angle is 45° for better ergonomics and operator comfort. Service height range is 10" to 24".